According to Louise Kursmark, author, resume consultant and the president of Best Impressions Career Services, Inc., "A key challenge in writing resumes for technology professionals is making sure the resume is meaningful and understandable to non-technical readers." She explains, "It's essential to balance technical details with the larger picture: the value and meaning of those technical activities and projects." If you're ready to start writing a resume focused on your job search in the web design/development or other computer-related field, use the free templates provided here as a guide to get started. Simply click the image of the format that works best for you to download a customizable PDF document. Note that you will need to download and save the document before customizing in order to keep the formatting intact. If you need help with the documents, see this Guide for Adobe Printables for tips and suggestions. If you have experience in the computer field, use the template provided here as a starting point for highlighting your unique combination of relevant skills, qualifications, education and experience. Download an experienced computer professional resume template. It is up to you whether or not to include an objective on this kind of resume. 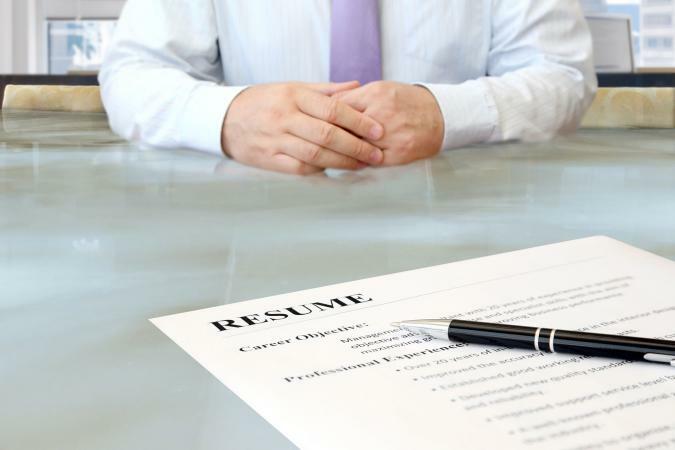 Kursmark points out, "On today's resume, the objective has largely been replaced by a strong summary section that introduces the resume with the most pertinent information about the candidate." If you are only going to include one of these elements, the summary statement is the most important. Kursmark explains, "The summary is more employer-focused than an objective, which states, 'here's what I want.' However, a key value of the objective statement is that it lets employers immediately know who you are and the kinds of positions you're seeking. If you don't include an objective, make certain your summary clearly conveys this same information. Employers will not take the time to figure it out." If you do not yet have significant (or any) professional work experience in the computer profession, the template provide here is a good format for you to use. It includes a summary section and room to list the specific computer-related coursework you have completed. It is also designed in a way that lets you highlight relevant experience even if it did not come from employment in the field. Download an early career computer resume template. Note that this format begins with an objective statement. Kursmark explains that an objective can be the best way to begin a resume, especially for early career professionals. She explains, "A new graduate might list immediate and long-term career goals to help employers understand her current and future value." She stresses that an objective should be "be specific." She advises, "Show you know what jobs you're qualified for and include relevant keywords." What you put in your resume is just as important as its format and appearance. When applying for website design/development jobs or other types of computer-related positions, it's important to relate your skills and background to the needs of employers. Kursmark states, "Don't get bogged down in the technology, and don't lose sight of the larger picture." What was the value of the project? How did it help end users or customers or the company? Kursmark reminds, "Framing your technology achievements in the context of business challenges and results shows that you understand the underlying reason for all technology investments: to make a company more profitable or an organization more successful." While it is not unusual for computer professionals to change jobs frequently, Kursmark points out that many employers shy away from candidates who seem to quickly jump from one job to another. She recommends a few "techniques you can use to minimize the impression of 'job hopping' in a resume." Kursmark advises, "If your jobs have been contract - intentionally short-term - state this up front rather than letting readers assume you quit after three or six months. You might group a series of short-term or contract jobs under one job title - 'Senior Applications Developer,' for example - and then briefly explain each project or assignment." She also points out, "It's perfectly OK to leave jobs off the resume if they don't add value, so that's another way to minimize the appearance of a number of job changes." Kursmark stresses, "You must absolutely be prepared to address job changes in an interview. Look at it from the employer's perspective and let them know why this is a great fit for you for the immediate and the long-term. Or, if you truly prefer to take a series of short-term jobs, let the employer know this up front and stress the value they get from hiring your expertise only for the specific project and specific time it's needed." If you are having trouble deciding how to best present your computer experience to potential employers, you may want to enlist the services of a professional resume writer. Kursmark recommends selecting "a professional resume writer who specializes in technology professions." She explains that you can expect a professional with this kind of experience to "draw out from you all of the meaningful information that can transform your resume from a bland description of technology skills into a powerful, high-impact statement of your value." She states, "I highly recommend resume writers who have graduated from the rigorous Resume Writing Academy program and earned their ACRW credential."